DVD converting and burning needs are also very common. To digitalize DVD for easier playback without bringing the disc, you need a trusted top free DVD converter. Sometimes you may have some marvelous videos recorded by yourself and want to burn them to a solid DVD disc for permanent storage, a top free DVD author and burner can realize it. This post is aiming to fulfill your DVD rip and burn needs with zero money cost, by giving you the best free DVD converter and burner (2019) which run perfectly on Windows 10, 8, 7, Vista. The DVD conversion and burn speed is superfast and the output quality is the best. WinX DVD Ripper is one of the most well-received DVD conversion programs in market today. It is free, clean, intuitive, fast, yet very powerful. You can use it to flawlessly rip DVD to MP4, H.264, MPEG, MOV, etc. with original quality at ultrafast speed. It supports ripping protected DVDs by removing DVD region code, CSS, Sony ARccOS, UOPs, APS, RCE protections. Trimming a part of DVD content to convert to digital and changing video/audio parameters are also supported. Freely choose subtitles or add external SRT subtitles to DVD movie. Besides, GPU acceleration, Hyper-threading and High Quality Engine techs ensure best output videos quality and fast ripping speed. Free download and install the best free DVD converter – WinX DVD Ripper on Windows 10/8/7 computer, and follow the easy 1-2-3 step guide below to rip DVD to MP4 or other video files. • Insert the movie DVD disc into DVD-ROM. Copy protected DVD is supported. • Run free WinX DVD Ripper and click "DVD Disc" button on its main interface. The smart software will auto load and display DVD movie info. Most importantly, it can auto detect the right DVD main title for you. Then choose the output profile. You can choose to convert DVD to MP4, "to MPEG", "to WMV", "to FLV", "to MOV", "to Music", etc. with this best free DVD ripper 2019. If you'd like to play the DVD movie on PC, iPad, iPhone, Android, MP4 is top recommended. Click "Browse" to set an output folder on computer to store the digital copy of DVD. Then hit "Start" to set off converting DVD to MP4, etc. for free by keeping original quality on Windows (10) PC with the best free DVD converter 2019. Burn DVDs from almost any video files, incl. MKV, MP4, FLV, MPEG, MOV, RM, RMVB, H.264, AVI, VOB, etc. Make a 4.3GB DVD in less than one hour with its built-in fast and powerful decode encoder engine. This free DVD authoring tool allows you to create DVD menu, chapter menu, insert SRT subtitle files, add your favorite music and pictures as background. Support multilingual DVD languages like English, French, Chinese, German, Italian, Japanese, Spanish, etc. First of all, free download this DVD burning software and get it installed on Windows 10/8/7, etc. Then check the detailed guide below to convert MP4 or other video files to DVD. • Insert a blank DVD disc into DVD-ROM. 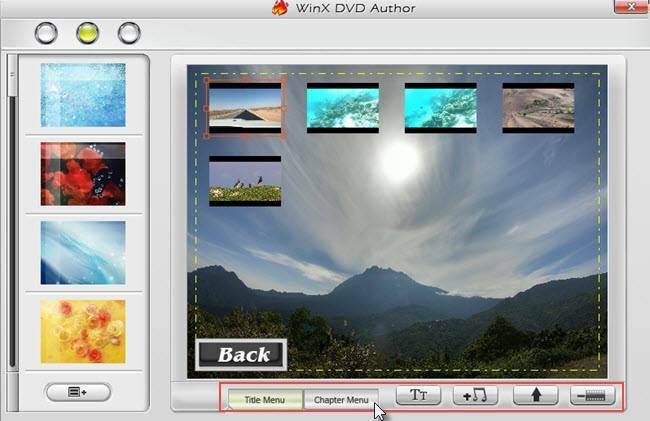 • Launch WinX DVD Author and click "Video DVD Author" option on the UI. • Then click "+" icon on the bottom left to add source (MP4) videos. • You can also click Settings button to customize DVD aspect ratio, format (NTSC/PAL), Type (DVD-5/9), duration, language and subtitle. Click Next step icon to personalize the DVD background picture, create DVD Title Menu, Chapter Menu, add background music, etc. Again click Next step icon to check the DVD burning settings in the pop-up DVD Builder window. If everything is settled, just hit "Start" button to burn MP4 or other video files to DVD for free with this best free DVD burner for Windows (10). 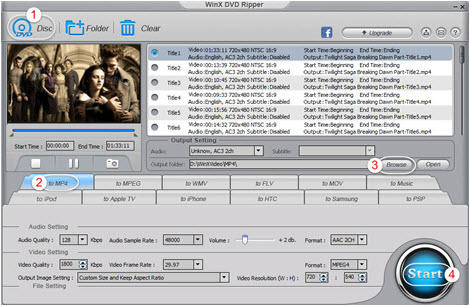 Both WinX DVD Ripper and WinX DVD Author are 100% clean freeware with versatile functions and simple operations. The first can help you free rip protected DVD to MP4, AVI, MOV, etc. while the second one can free burn MP4, MKV, VOB or other videos to DVD on Windows (10) with no hassle at fastest speed. 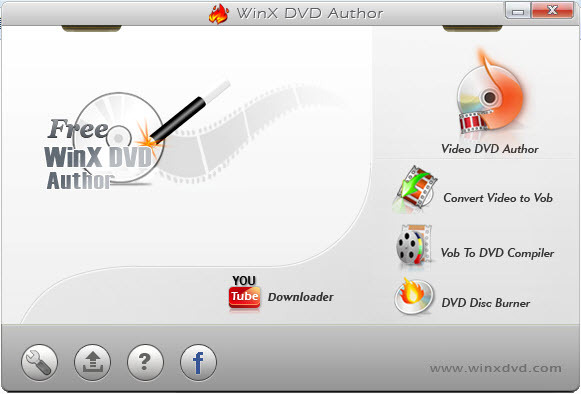 WinX HD Video Converter Deluxe, also a DVD Burner, helps you download YouTube Video, convert HD Video and reate DVDs.